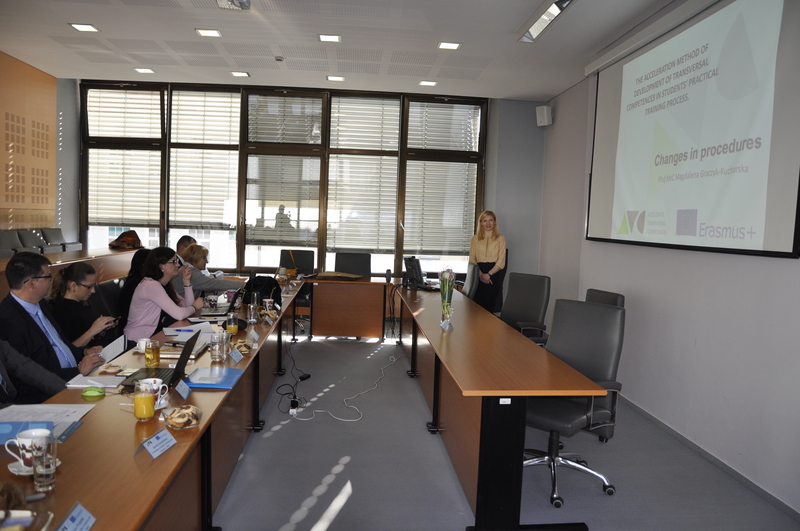 The Faculty of Economics and Business, University of Maribor organized the second transnational meeting within the framework of the Erasmus+ project titled “The acceleration method of development of transversal competences in the students’ practical training process” on the January 28, 2016. The leader and project partners’ representatives (in alphabetic order) from the Centria University of Applied Sciences (Finland), the Federation of Education in Jokilaaksot – JEDU (Finland), the Faculty of Economics and Business, University of Maribor (Slovenia), the Matej Bel University Banská Bystrica (Slovakia), the Poznan University of Technology (Poland) and the Western Chamber of Industry and Commerce (Poland) participated this one day meeting. The meeting started at 10.00 a.m. and last until the evening. The participants presented and discussed the topics that were related to the intellectual outputs that are planned for the first seven months of the project. The first result of the project will be the detailed analysis of teaching methods of transversal skills (i.e., entrepreneurship, creativity, teamwork, communication) and the methods of practical training used in higher education in partners’ countries. The results are planned to be published in April 2016. The next important activity of the project will be to conduct the research on transversal skills requirements among entrepreneurs in partners’ countries. Results are expected to be available in March 2016. An important part of discussion referred to the monitoring, evaluation and dissemination procedures. The Todoist was presented as a tool that is expected to enable an efficient and effective realization of activities within the project. 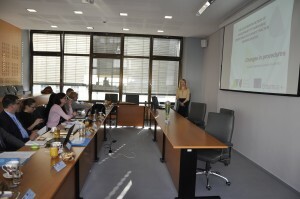 Participants of the meeting had the next opportunity to better know each other, to talk about the topics connected with the project, also to discuss the possibility of further cooperation outside the project. The next transnational meeting in this project is planned in Finland on June 2016.